Most people approach content marketing like a black box. Ideas go in one end. Hours and days are spent doing something creative. And content comes out the other end. In a survey I ran of 2,203 companies, I was shocked to find that only 35% had a documented content marketing strategy. People measure and analyze all other aspects of marketing, but they don’t take that mindset and apply it to the actual practice of content creation. They think that because it’s harder to produce high-quality content, it’s too difficult to reliably reproduce. But your blog’s repeat visitors will only grow if you consistently produce great content. And for that you need to create a repeatable process with repeatable results. Here’s how to create a content marketing assembly line to that you can use to engineer quality content. Identify topics: This mostly consists of brainstorming based on hunches. Pick a single topic: One person has an editorial role and they pick a topic to start on. Research topic: Whoever picked the topic is the expert, and they do research to set up the parameters of the content. Create content: This step is often handed off to a specialist—writer, designer, etc. Review and publish: Copy-editing, revising, and hitting the publish button. Promote and distribute: Post to social channels, and sites like Hacker News and Growthhackers. Track performance: Keep track of views, time spent reading, traffic sources, and shares. The process seems pretty straightforward if one person writes a post every week. As your content team grows, however, logistical overhead holds up articles and keeps your blog from being updated on a weekly basis. That’s why the best content producers take an iterative approach to their content production. They break up their strategy into stages to identify where any hiccups are taking place, and work to solve these issues for future production cycles. How long does it take me to get to the next step? How can I use data to make more accurate decisions? Are there parts of this that I can outsource? If you find that “How-To” posts and “List” posts perform best within your space, create templates for them and outsource the work. Use tools like Buzzsumo, Open Site Explorer, or Ahrefs, to research trending topics to make sure you’re writing timely material. If you find that your visitors prefer reading longer blog posts, but that it takes you too long to write them, try combining a few shorter ones into one value-laden mega-post. You shouldn’t do the same things over and over and expect different results. Instead, use every iteration as an opportunity to try something new, and over time you’ll build a hyper-efficient content machine. Getting your content to meet a high quality standard can easily hold up your whole team. 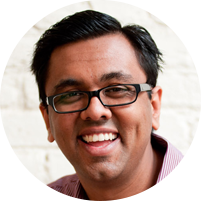 My co-founder Neil Patel and I learned that the hard way when we were growing the Kissmetrics blog. The editor of the blog was Sean Work, a colleague of ours from ACS, our consulting business. Sean used to be a rocket scientist, and he applied that precision to the content on the Kissmetrics blog. He cared deeply about the audience, and in doing so, set a high bar for quality. Even if Neil or I wanted to post on the blog, we needed to get Sean’s stamp of approval. That kept the quality of the blog super high, but it also created a bottleneck at the Review & Publish stage. If posts weren’t up to snuff, they had to be sent back for multiple revisions, and if we didn’t have other posts lined up, then nothing would get out. We wouldn’t have anything to Promote & Distribute and we couldn’t Track Performance either, so the middle stages of our pipeline were backed up while the ends were sitting idle. After experimenting with a few different solutions, we decided to try outsourcing some of the work. We realized that posts didn’t have to be written by Neil or me, and that if we could break down the types of content we wanted to produce, we could maintain a high-quality standard and increase the rate of production. We found specific authors with proven track records, paid them for the posts, and equipped them to create great stuff. If a freelancer’s work didn’t meet Sean’s bar, we dropped it from the queue as a defective piece without disrupting the rest of the assembly line. What mattered was having the assembly line in gear and cranking. Over time, the quality increased, because something cool happened. As our blog grew and grew in traffic, it offered writers a bigger stage for their writing. The dynamic totally reversed, and instead of paying writers to post on our blog, high-quality writers would pitch us to write on our blog for free. Writers sought us out to write on the Kissmetrics blog to earn recognition instead of money. But 2,203 companies say differently, and so does my personal experience. Most people aren’t getting traffic to their blog because either the quality bar is too low, or they’re posting too infrequently. Build a content machine by improving your process and cutting down time between steps. Only once you churn out enough great content will you build up the reputation of your blog, and see a difference in your bottom line. But not before.